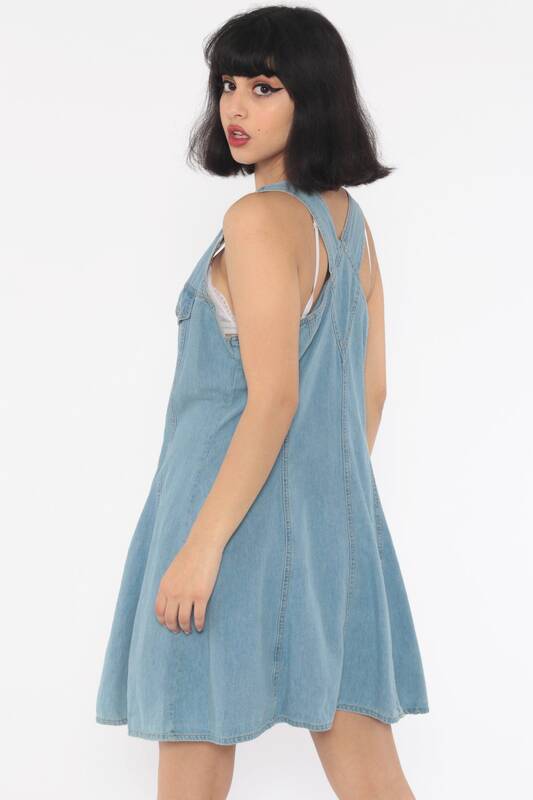 Vintage 90s dress in blue denim with buttons down the front. Sleeveless with chest pockets and a flared skirt. Mini length.